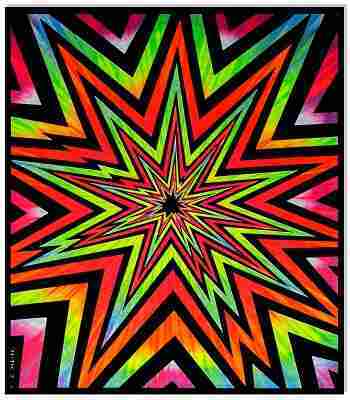 Get blown away with our blacklight reflective Cosmic Blast tapestry. Approximate size - 22" x 27". Great for a dorm room!